These are Some of the Best Paid Hospitality Jobs in the world! 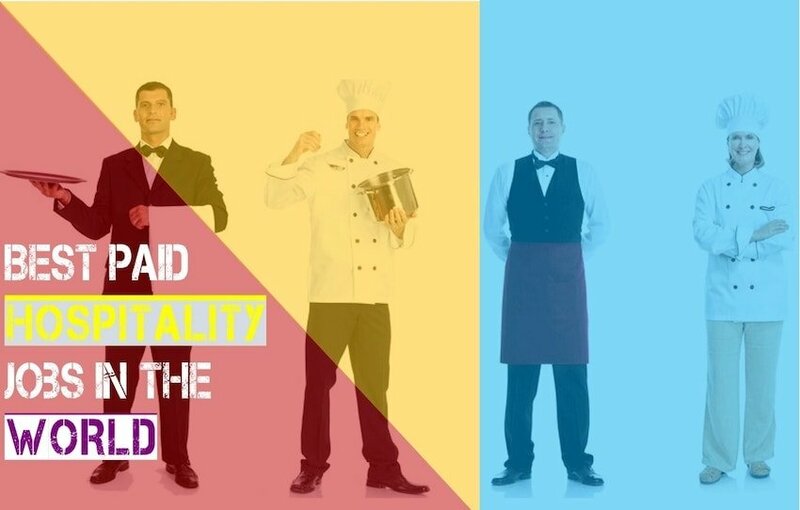 This article is dedicated to best paid hospitality jobs in the world. It also debunks the notion that hospitality jobs are paid less. There are jobs with lesser salaries as well which is true for most of the industries. Due to the vastness of the industry, there are jobs with lesser salaries as well which is true for most of the industries. People complain a lot about lower wages in the hospitality industry. This is true to an extent. It all depends on supply and demand dynamics. However, not all jobs in the hospitality industry are poorly paid. So, Let’s look at the positive side and explore a few of the highest paid hospitality jobs in the world. If you are looking for the best jobs in hospitality, look out for the names on the list. This will help hospitality industry professionals plan their career move in the right direction. This will help you aim higher. Here is one of the motivational hospitality quotes to set the scene. Thus aim high and stay motivated to be able to work hard to achieve those aims. Our list is not exhaustive but helps in giving a direction in terms of making your career moves. While, we have tried to explain all positions in detail, here is a quick checklist of all the positions covered in our list of best paid hospitality jobs. The hospitality industry includes a wide range of jobs across the industry. These can be in restaurants, Cruise ships, Resorts, Hotels, Bars, Hospitals, Shopping arcades, Aviation industry and Theme parks. Here we look at best paid hospitality jobs across the industry. We have not shared salary range as salaries are extremely variable depending on the location of the job and on the basis of properties which offer these hospitality jobs. In case you would like to inquire about salaries please refer to our Hotel Management Salary Guide, and specific ones for the average salary in the hotel industry in Dubai and Average salary in the hospitality industry in the Maldives. The following list is about the best paid jobs in the hospitality industry. Chef Jobs are definitely one of the most Creative Hotel jobs which justifies their best-paid hospitality jobs tag. ‘Chef’ is a French word which means the Boss or the leader. That in itself makes it one of the best jobs in the hospitality industry. Chefs in the hospitality industry are earning up to $124,800. Chefs are not only responsible for preparing food. In fact, their job is much more sophisticated than that. They are also responsible for creating unique menus and innovative food ideas. They are also in charge of making sure that the ingredients that they receive are fresh and free of any health hazards. They also have to manage the kitchen and make sure that orders are being served on time. It is not an easy job at all but is highly paid. Therefore, it is definitely an extremely satisfactory job as far as money is concerned. Moreover, Chefs get paid even higher on Cruises. Salaries are high in particular for Executive Chefs and Pastry Chefs. So, you know that becoming a good chef will get you high rewards. All you need to concentrate as a hotelier is in the process to know how to become a good Chef. These are the people who manage every operation within a hotel. ‘Hotel manager’ is a very respectable post. The monetary benefit attached to a manager job in the hotel industry is near $112,400. Being a manager in any industry is not easy. A hotel has many operational jobs like the housekeeping, the human resources, the front desk etc. all of these or at least of the operations are to land under the supervision of a manager. It is a job that requires quick thinking and the ability to organise people. If you have the proper degree and experience, then you can surely land this position. If you are thinking about how to become a hotel manager, then all you need to do is to stick to your basics, get a decent degree and start gaining experience. Stay stable as a lot of job hopping would only make the journey to the top longer. This is not as sophisticated as a hotel manager and not as highly paid either. Approximately $95,800 can be earned from this job position. This, however, is not a small amount. A restaurant manager is also responsible for many tasks. The restaurant is supposed to run by many operations like the waiting staff, the front desk, the cleaning people and the heart that is the kitchen. All these operations will run smoothly if under the supervision of good management. Restaurant managers of fine dining and super luxury restaurants are future General Managers in making. The post and salary are thus extremely rewarding, challenging and satisfying. This job will pay you around $46,000 in the USA. This is a very spontaneous job that also requires travel, innovation and creativity. This job is also well paid in other parts of the world due to the creativity and interpersonal skills required. If you have the right degree, an appropriate amount of experience and the love for organising events, then this is certainly going to turn out to be extremely satisfactory for you. Event planner’s and Coordinator’s role includes but not limited to conducting posh business events, high-profile marriages, live shows, celebrity lunches and dinners, political events and much more. It is extremely challenging and glamorous role involving decent remuneration. This job post certainly sounds out of place for the hospitality industry. However, the designs and infrastructure that is unique to luxury hotels and resorts is the result of good and highly paid engineers. The money earned is around $102,000 on an average which makes it one of the best jobs in the hospitality sector. Hotels these days are state of the art and the number of Engineers on board is on a rise every year. Money is even higher in the Aviation industry and on cruises. This might seem similar to event management but is actually very different. These are the people that make the guests have fun while staying at a particular hospitality place. They are responsible for leisure, sports and other engaging activities. The salary goes higher on Cruises and also includes positions like social hostess, dancers and singers, flaring bartenders and so on. 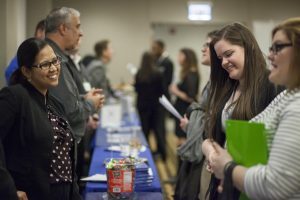 The hospitality industry is full of jobs and potential positions. Even the kitchen staffs like the dishwashers have some significant role in the whole chain. The jobs that are mostly satisfactory in terms of money fall under the category of best paid hospitality jobs. This category might not figure in the list of highest paid jobs, but in terms of satisfaction, it’s a must to be in every list of best-paid hospitality jobs. A Clean room is very important in the hotel as compared to any other amenity present on the premises. This is true for Aviation, Cruise, facilities, Malls, recreation parks and Hospitals. Thus Housekeeping is a key activity in the hospitality industry. While the basic attendant job in not extremely rewarding but as you start climbing up the ladder there is a disproportionate rise in income. In most of the luxury hospitality properties, the housekeeping department is normally the biggest department. It is one of the most difficult works that requires a tremendous leader to manage the whole department. Do you love Wines? Wine tourism is very popular across the globe and especially in Europe and North America. Lots of hotels make sure they satisfy the taste buds of wine lovers. But there are thousands of types of wines. What to taste and how to know the background? Thus comes a Sommelier into play. They don’t only serve wines but are storytellers who engage you in the process of winemaking. Well, Sommeliers are not only well paid but have one of the most interesting jobs in the hospitality industry. Some also call it the best hotel jobs in the world and the specialised knowledge of wines comes with a lot of monetary rewards as well. We have a post dedicated to the Basics of wine to explain why dealing with Wine is interesting as well as creative. Do give it a read if Wine is of some interest to you. 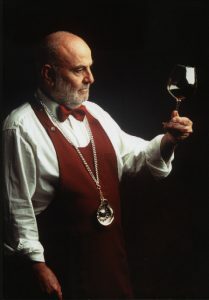 In a hotel or restaurant, the job of Sommeliers is to share the wonderful knowledge they have with diners. Due to the intricacies involved in this role, the Chief Sommelier is one of the best-paid hospitality jobs in the world. Due to the intricacies involved in this role, the Chief Sommelier is one of the best paid hospitality jobs in the world. Casinos are in a niche that is extremely beneficial but risky. Casino hotels are some of the largest and luxurious hotels in the world. Same can be said about Casinos on cruises. Managing Casinos is like managing the rich and famous. It is extremely rewarding but needs a specific skill set. In a casino, there is no clear path to be a casino property general manager. If you want to be a casino property general manager then you need to get 4-year education degree in hospitality and business, then also you need to get experience in the components of a casino resort operation, hotel, convention, food, beverage, and entertainment. For a move towards a great Casino property general manager, the key is to be passionate about managing and running Casinos and the eagerness to learn every aspect of this job. This is indeed one of the best-paid hospitality jobs in the world. Look out for the post on how to become a Casino property General manager for greater details. Flight attendants, Air Hostess, Hosts etc. all come under this category. This is a highly competitive and rewarding job category. These roles belong to the best of the lot in the hospitality industry. Best customer experience is the motto while you need to be able to create a rewarding travel experience overall and also sell products. Salary is attractive while the perks are unlimited. Those who love to travel find this job even more attractive. Hope you liked our list of highest paid hospitality jobs in the world. If you are looking for any of the above positions, just visit our Search Hospitality jobs page. The page allows you to search from available positions on the basis of hospitality job types and roles. Look into the list by the job site monster for more hospitality Jobs that pay well within the hospitality industry. Hotel industry jobs by many are being considered akin to diving into deep waters. We have discussed in one of the earlier posts, a few Myths about Hotel Jobs. Hospitality is an industry that runs on many variables. The industry also shows trends that change according to the culture of different countries. When people think about hospitality, they mostly think about one part of the hospitality relationship that is the guest. Its the Hospitality professionals that make the hospitality industry an exemplary industry. Service is the key in the Hospitality industry. The Hoteliers and other hospitality professionals are key Success Factors of the Hospitality Industry. People hardly pay attention that the part of the relationship called host needs certain motivation to remain in the business. There are many motivation sources if we consider human resources, but what could be more motivating than monetary benefits.